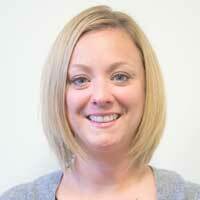 The Academic Resource Center (ARC) announces Shelley Wolfmeyer as the new ADA Coordinator. Wolfmeyer has been with Webster University since 2011, most recently in the role of student success coordinator for the ARC. Webster’s Information Technology Department will be closed Dec. 24-Jan. 3 for Winter Break. The Service Desk will open for special hours on Dec. 30 and be on-call for emergency issues. Regular hours for the Service Desk resume Jan. 2. The following buildings will be without power on specific dates in late December due to changeover to the new electrical customer substation. Occupants of these buildings should turn off their computers, printers, and any other electrical equipment (as well as remove perishable items from refrigerators) accordingly. The Webster holiday card made a "best of" list, Ibrahim Vajzovic was quoted in the Economist on Muslim Bosnian immigration to St. Louis, Zlatko Covic was on Fox 2 News for his "Slavic Requiem," Christopher Braig was featured on St. Louis Public Radio, President Stroble was featured in the Chronicle's 'What I'm Reading' series, and Webster Orlando's relocation downtown made news in the Orlando Sentinel and Orlando Business Journal.